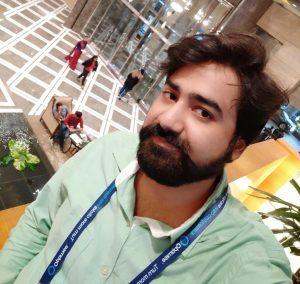 Hello Friends, Today I will share top 10 best YouTube alternatives. These are the best website with several unique and free feature as compared to YouTube. You can find all kind of content in these YouTube alternatives for free. YouTube! An American video-sharing website although is not the only one of its kind still it dominates over every other video-sharing website. YouTube is preferred more by the people over the reading content on websites/blogs as visual representation connects more to them than reading long posts. Even our website CrazyTechTricks has YouTube channel. There are always some flaws associated with familiar things. Some cons of YouTube include banning videos which might be the truth but could hurt the sentiments of someone/some people, restrictions to upload videos; there could be copyright infringement issues, etc. Are you are looking for sites like YouTube without censorship issues? 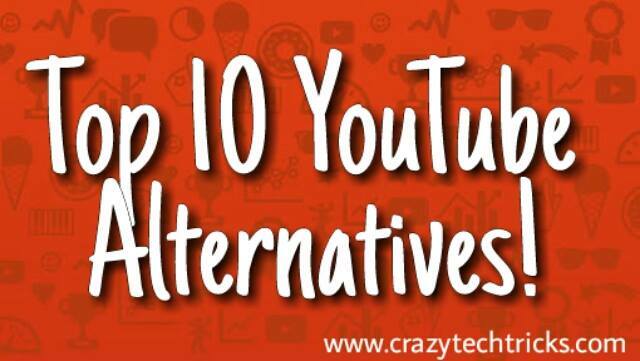 Then, check the list of 10 best YouTube Alternatives. However, if you are looking for some alternatives to YouTube then here are top ten of them (in our opinion). Let’s take a look at all of them and understand why they are better in their way. These websites look similar to YouTube in playing videos. But, they are slightly different and have more pros than YouTube. We have shared the best video search engines other than YouTube. These YouTube alternatives are way better than YouTube in several comparisons. You can check all these websites with their pros as compared to YouTube. Vimeo: This site is almost as old as YouTube is but could never really get into the limelight as YouTube could. This site is not too user-friendly as new users find it difficult to figure out stuff. But for the ones who are used to this site, they find it a beautiful interface. But the reason to opt for this site is that there are no ads in-between videos, unlike YouTube. Also, this site charges nothing to upload videos up to a certain extent. This is also a good platform for video creators out there to provide legit content to the people. Daily Motion: This site is among the most trending sites, but the biggest complaint with this site is that it lacks some videos. Also, it does not bring down spam or pointless videos as if there isn’t any moderator. Its interface is not much attractive to the user as it looks too mainstream. But, uploading videos here is free of cost but with some restrictions on the size, length, and resolution. These limitations can be bypassed by signing up for MotionMaker account which is again free. Flickr: This site is mostly known as photo sharing website but rather than sharing photos only, Flickr is also known for its video sharing feature. Flickr has named it as “long photos.” Uploading videos here is same as uploading photos, but we can count it as an alternative. Meta Cafe: The oldest site among all these sites is meta cafe. But many ads makes it difficult to make it a smooth search and thus the buffering time increases which are annoying. The user interface is unique and attractive. Veoh: A software of this site is available which is required to download videos. This site came up with offline video saving much before YouTube gave it a shot. Hence proving to be an excellent alternative to YouTube. Its user interface is loaded with numerous options such as adding friends, personal message, forums, etc. But, finding videos is not an easy task here which gives it thumbs down. Blip.tv: The interface of this site is easy to adapt which provides a brilliant browsing experience to the user. This site contains a wide variety of videos such as movies, comedy, sports, etc. One can make money through affiliate adverts on the site. Twitch: It is a live streaming video site. It is specially designed for gaming purpose. It is used by the online gamers to play as well as interact with each other and their audience. In this site the screen is divided into two parts, the major part is used to play the game, and the minor one is used to view the players face. This site is the youngest site still it has around 55 million unique viewers which show how popular it is. Hulu: It is a very famous site for watching television shows, movies, etc. It provides with an affordable streaming service and many hours of television. Since it does not possess a live streaming feature, the shows on air cannot be watched on it but, latest content is added by the next day. Hulu can be supported on smart TV, mobile phones, etc. which make it convenient to access. Netflix: Netflix is also called the king of online streaming. It is the biggest site which is good as well as bad. Since it is the biggest, it has a lot of content. Thus one can stream without any limit. But handling so much content is also a difficult job. Hence, some content goes missing when they are searched for. Also, to maintain the smooth search cycle, speedy broad bands are required which are currently unavailable. The price is cheap here which attracts many viewers. Also, it is supported on different devices which give it a thumbs up. Vudu: This site rents out television shows and movies to its viewers. It has a huge collection of TV shows and movies which are its pro. It follows the principle of pay-per-episode. Vudu is widely used to watch any show missed the other day as it is much more convenient to rent shows or movies than buying them as they are one time watch things. These are the best YouTube alternatives. We have analysis all of these websites personally and found all of them relevant while comparing to YouTube. Well, If you know any other YouTube alternatives. Then, do share with us in comments below and don’t forget to share this article with your friends. How to View a Private Instagram Without Following – Is it Possible?